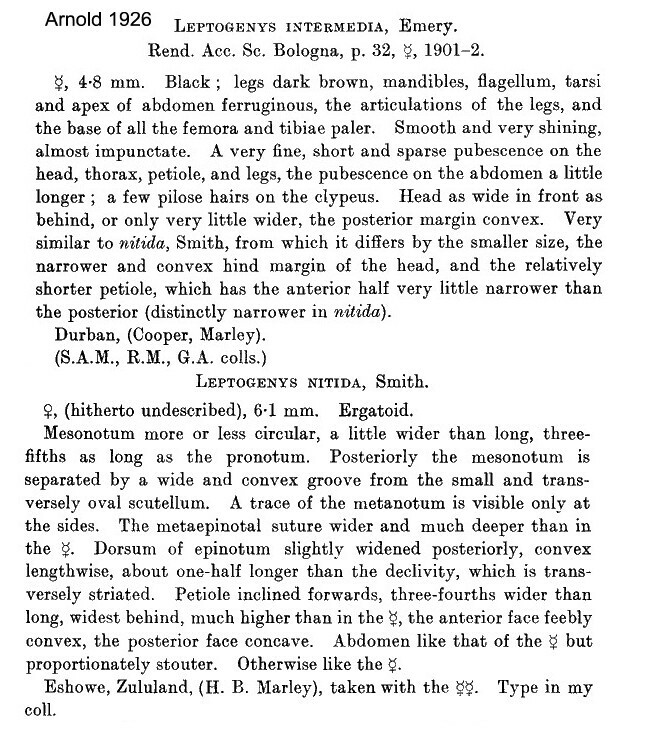 Smith's (1858b) description is at . 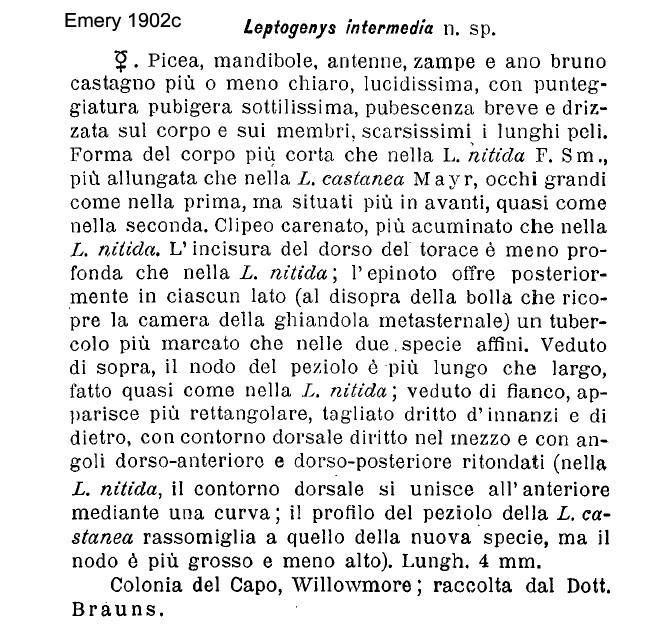 Emery's (1902c) description is at . Arnold (1915) gave a transcription of Smith, this is at . 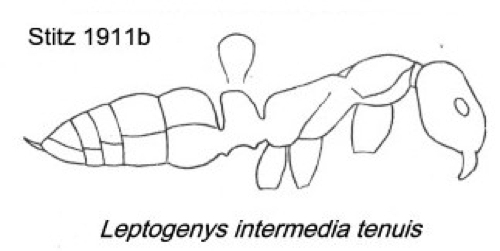 Stitz's (1911b) description of tenuis is at . 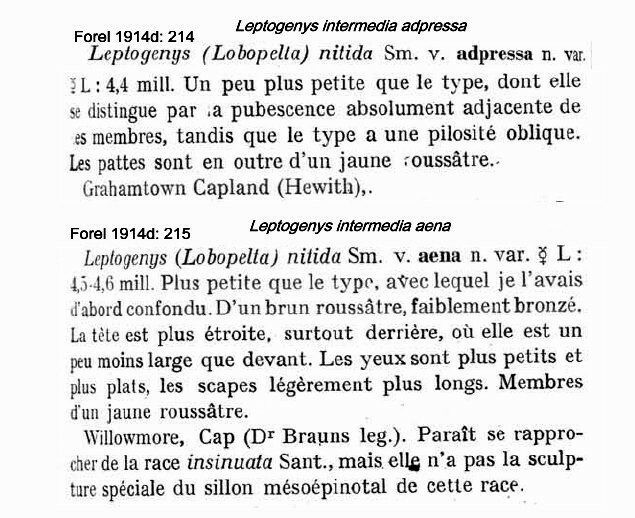 Forel (1914d) gave descriptions of adpressa and aena, these are at . 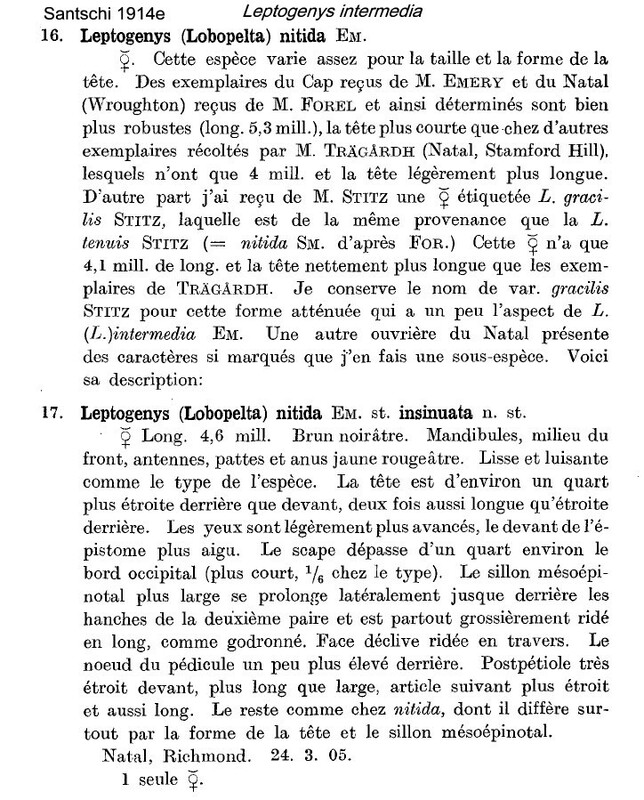 Forel (1915c) gave descriptions of grandior and brevinodis, these are at . 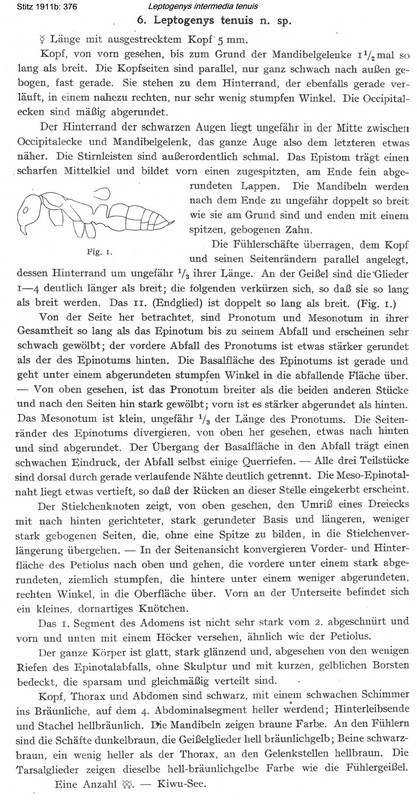 Santschi's (1914e) description of insinuata with comments on gracilis and nitida are at . 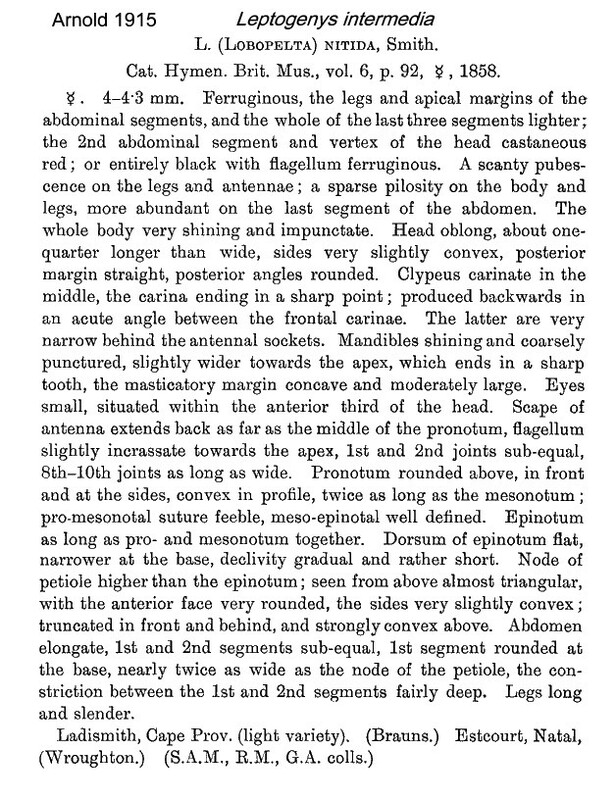 Santschi's (1926b) description of speculans and deflocata are at . 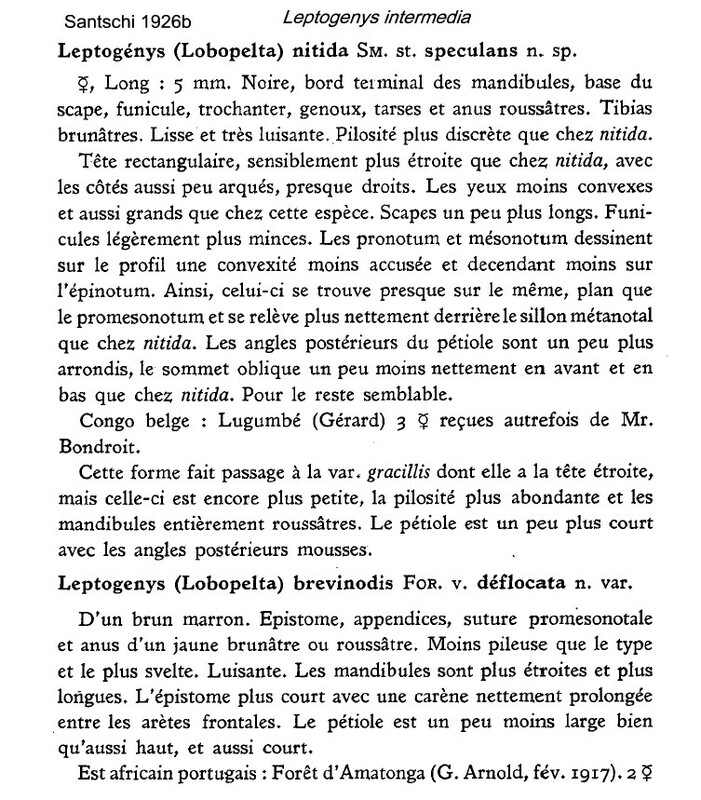 Arnold (1926) gave translations of intermedia and a description of the ergatoid queen of nitida; these are at and translations of grandior, aena, adpressa, brevinodis and insinuata are at . Bolton's modern description (1975a) is at . 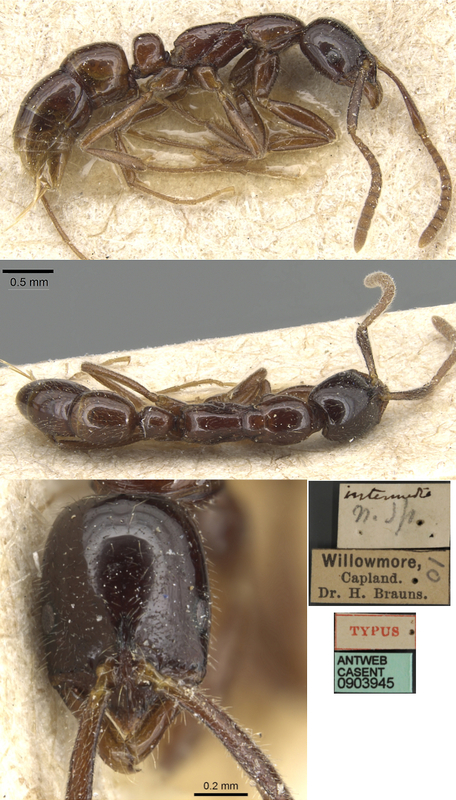 The photomontage of the type worker is collated from http://www.antweb.org/specimen.do?name=casent0903945. 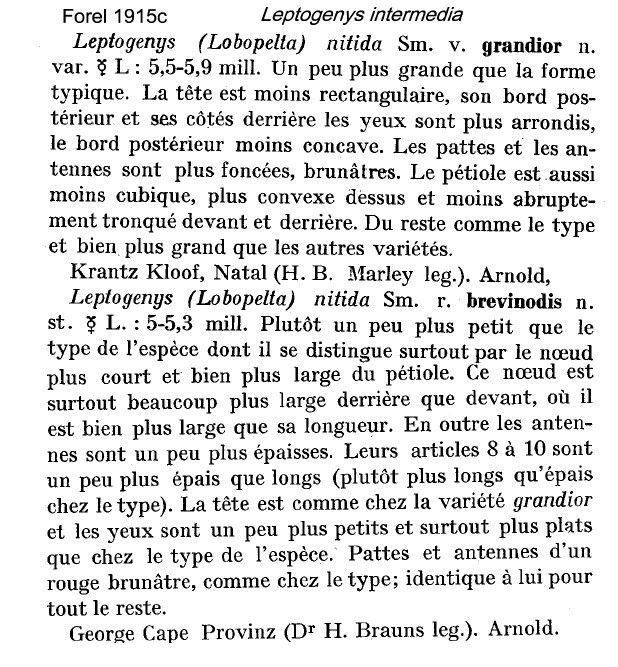 WORKER - TL 4.6-5.7 mm; Eyes larger diameter > 0.11 and set well forward on head; colour variable from jet-black to light brown; very variable (as Leptogenys nitida, Bolton, 1975a: 289, not illustrated, worker). 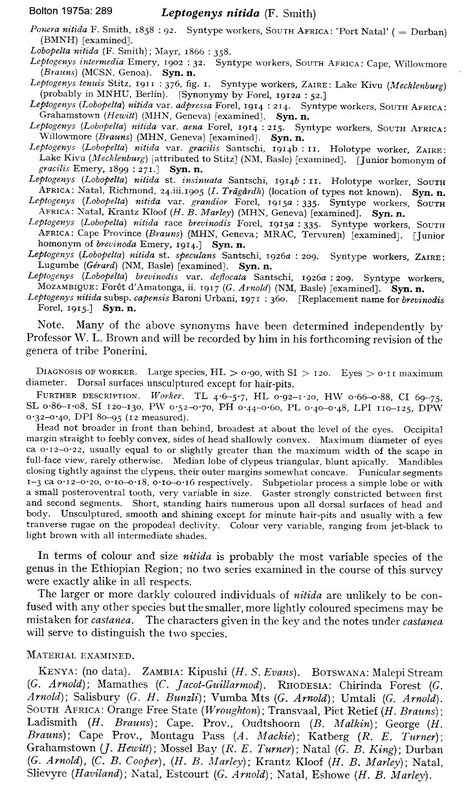 The colour variability can be seen below and among the synonymic variations on the Antweb site. The photomontage is of workers from Tanzania, West Usambara Mts, Lushoto District, Grant's Lodge; Mkusu R., 3-4 km upstream of Kifungilo; 1660 m; Vasily Grebennikov; 03-08.x.2002.